The Sunday Times best seller returns for a fourth book! Alfie and George just can't seem to keep out of trouble. So when they hear that their owners have got a new holiday home, they can't wait to visit it and enjoy some new adventures. But when they arrive, they don't find the comfort they're used to. Crumbling walls, peeling paint, dripping ceilings...this little Cornish cottage is clearly on its last legs. Once again Rachel Wells writes a wonderful tale for all to enjoy. 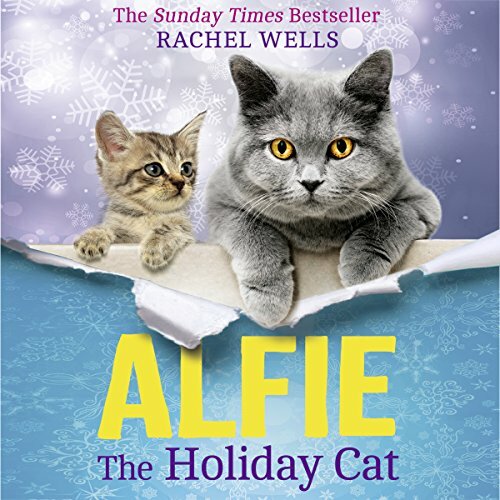 Edward Killingback makes it come alive and seems like I Know Alfie and George as real Cats. Very nice read for all ages.